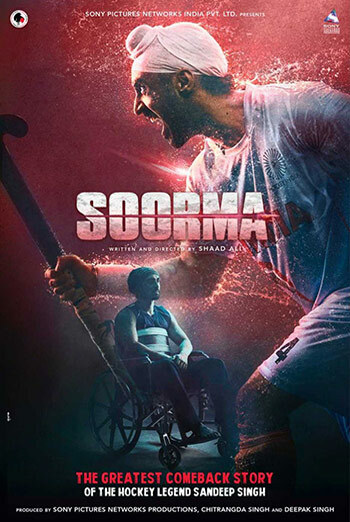 Soorma is the story of the triumph of the human spirit, about a player, who made headlines for his miraculous comeback after facing a near-death experience through sheer determination, hard work and unrelenting passion for the sport. Consumer Advice:(BC) Violence, coarse language. (SK) Violence, coarse language. (MB) Violence, coarse language. (ON) Language may offend, not recommended for young children, subtitled.